Charismatic actor/ comedian CEDRIC “THE ENTERTAINER” is best known for his many crowd-pleasing performances in such hit films as BARBERSHOP, BE COOL with John Travolta, MADAGASCAR, INTOLERABLE CRUELTY with George Clooney, JOHNSON FAMILY VACATION (the 2004 box office hit in which Cedric was both star and producer), and THE ORIGINAL KINGS OF COMEDY (MTV’S phenomenally successful documentary feature directed by Spike Lee), to name a few. Additionally, on the big screen, Cedric has recently been seen co-starring with Marlon Wayans in the box office hit “A HAUNTED HOUSE”; He has also starred opposite Julia Roberts and Tom Hanks in the comedy feature LARRY CROWNE; as well as shared the marquee in CADILLAC RECORDS with Adrien Brody and Beyonce Knowles; STREET KINGS opposite Keanu Reeves ; WELCOME HOME ROSCOE JENKINS with Martin Lawrence; TALK TO ME starring Don Cheadle; CODENAME: THE CLEANER opposite Lucy Liu; THE HONEYMOONERS (in which he starred as Jackie Gleason’s famed character “Ralph Cramden”; with thumbs up from Roger Ebert); LEMONY SNICKET with Jim Carrey; MAN OF THE HOUSE with Tommy Lee Jones; BARBERSHOP 2; BIG MOMMA’S HOUSE; KINGDOM COME with Whoopi Goldberg; SERVING SARA with Matthew Perry; as well as displaying tremendous vocal talent in the family features MADAGASCAR 2, CHARLOTTE’S WEB, DR. DOLITTLE 2 and ICE AGE, and, most recently, Disney’s “PLANES’ released in theaters on August 9, 2013. He will next be seen in “A Haunted House 2″ (sequel) — March 28, 2014 release date. Marking yet another career highlight, on March 20, 2013, Cedric was named the new host of “Who Wants To Be A Millionaire,” joining the long-running iconic game show beginning its 12th season in national syndication. Cedric replaces Meredith Vieira, who launched the weekday version of the game show in 2002 and remained host for 11 seasons, through 2013. Cedric’s universal appeal, versatility, and tremendous career successes spanning television, live performances, and film have solidified his standing as one of the premier entertainers in the world. Taking You Higher”, was the highest rated special of that year for the network. In November 2008, Cedric made his Broadway debut in David Mamet’s masterpiece “American Buffalo”…His performance was singled out for critical praise. As for more big screen credits, in 2012 Cedric revisited his co-starring role in the DreamWorks Animation box office winner MADAGASCAR 3: EUROPE’s MOST WANTED. As a regular cast member of the mega-hit franchise, he once again lent his voice as “Maurice (the lemur)”. During that year, Cedric also starred along with JASON BIGGS in the political drama “GRASS ROOTS” directed by Steven Gyllenhaal ; as well as made a fun brief featured appearance with Christina Ricci in the romantic comedy “ALL’s FAIRE IN LOVE: Romance Has a Renaissance”. 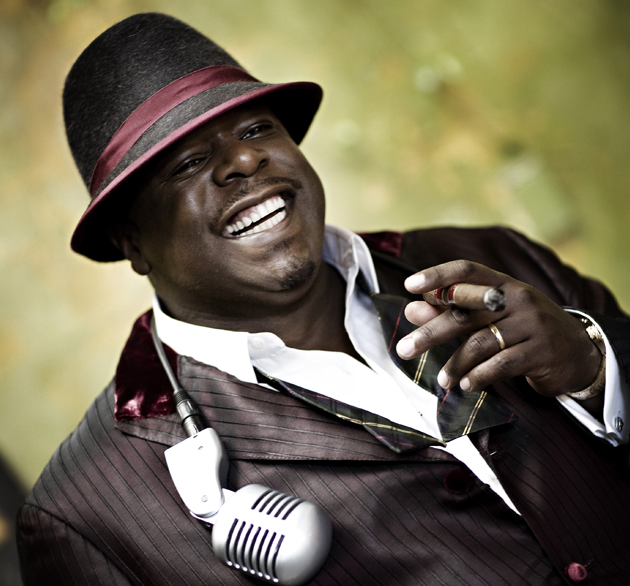 Later that same year, in June 2012, Cedric’s new comedy series “The Soul Man” debuted. It is a spin-off of “Hot in Cleveland” based on the funny quirky character “Reverend Boyce ‘The Voice’ Ballentine” a former R & B music star turned minister that Cedric portrayed on the hit “Hot” series. Popular comedic actress Niecy Nash shares the spotlight on the new sitcom co-starring as his wife “Lolli”. “The Soul Man” is created by Cedric and Suzanne Martin (“Hot in Cleveland”). The show is currently celebrating its third season. Tagline: “He goes from Singing Soul to Saving Souls” (airs Wednesdays 10:30pmET/PT on TV Land). Now helming his own production company, A BIRD AND A BEAR ENTERTAINMENT, Cedric develops and produces feature films (“Johnson Family Vacation” was the first under the banner). In 2009, he made his directorial debut overseeing the dance-film spoof “Dance Fu” starring rising comic actor Kel Mitchell released on DVD October 4, 2011. The 2011 launch of his WHOCed designer hat line marks yet another facet of the busy and creative comedy star. As a philanthropist, Cedric founded THE CEDRIC ‘THE ENTERTAINER CHARITABLE FOUNDATION which provides college scholarships and outreach programs to enhance the lives of inner-city youth and their families in his hometown of St. Louis, Missouri. Cedric has awarded over 200 scholarships and countless incentives through his foundation. He plans to extend the organization nationally.